TigerMates personal book review !!! I am just done with reading ‘Tiger Mates’, and it was an enriching novel especially since it describes how sometimes we would want to take revenge exactly for the same reason that we were punished, but then love overpowers and make us discover our true purpose. Also it highlights the plight of the tribal of Chhattisgarh, which has not been covered in a novel yet. Until Amrish Shah decided to write about the Naxalities terror and made it very relevant to the socio-politics of India. 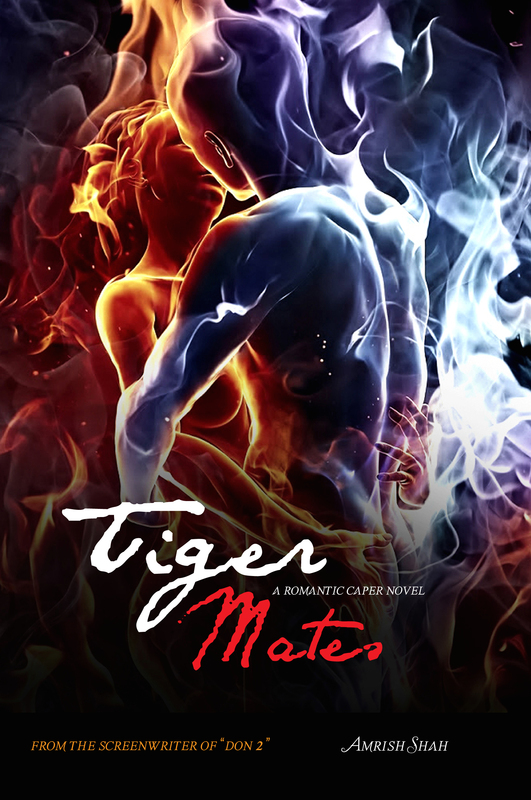 Tiger Mates has got a strong antagonist and the protagonist Shyla comes across as a very dynamic character. Neil the hero is also a charmer that will steal the reader’s hearts away. Tiger Mates is a valiant attempt by the screenwriter of DON 2- Amrish Shah. The theme and the setting and the characters are as contemporary as it can get. For me Tiger mates is a Novel that I can reread a couple of time cause there is more than what meets the eye.